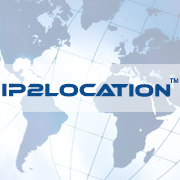 IP2Location Geolocation PostgreSQL Server is a pre-configured, ready-to-run PostgreSQL server with IP2Location Geolocation database setup scripts. It simplifies the development team to install and set up the geolocation database in PostgreSQL server. IP2Location Geolocation PostgreSQL Server is a pre-configured, ready-to-run PostgreSQL server with IP2Location Geolocation database setup scripts. It simplifies the development team to install and set up the geolocation database in PostgreSQL server. The setup script supports the commercial database packages and free LITE package. Please get the database download account from http://www.ip2location.com first before setting up the PostgreSQL server. 1. Pre-configured PostgreSQL in Debian. 2. Simple script to download and load all IP2Location database. 3. Easy to maintain. The machine perform auto monthly database update.